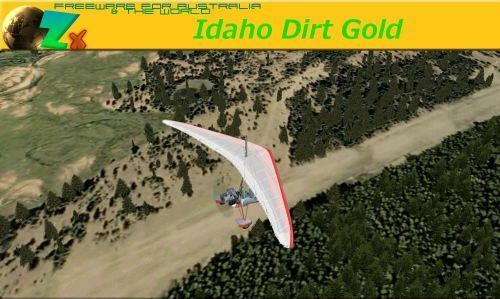 OZx has released the freeware Idaho Dirt Gold 1.0 scenery for FSX. Real world videos here and here. Dino Cattaneo has updated his freeware McDonnell Douglas T-45 Goshawk for FSX to version 2.10. -Activated "Bitching Betty" sounds by default GPWS, Over G, Low Fuel, albeit voice warningsare not currently linked to DEP data. GPWS Voice is set to 300 ft regardless of DEP and Low Fuel is not linked to BINGO value (Voice activates when fuel is 300lbs or less). Turbine Sound Studios (TSS) has posted a promotional video from the Dash 8 Q400 HD Sound Package for FS2004. Orbx has announced the introduction of NatureFlow to debut with the release of Fall City Airport (1WA6) for FSX. More preview pictures have been posted from the upcoming Antarctica X for FSX by Aerosoft. Precision Manuals Development Group (PMDG) has released the long-awaited Boeing 737NGX for FSX. High fidelity sound set showcasing the distinctive Rolls-Royce engines. Take On Helicopters Community Preview build 83450 is available. Note: Arma 2: Operation Arrowhead is required. OZx has released the freeware Moruya Airport (YMRY) verison 1.0 for FSX. Turbine Sound Studios (TSS) has posted a preview video from the upcoming Airbus 340 CFM HD Sound Package. 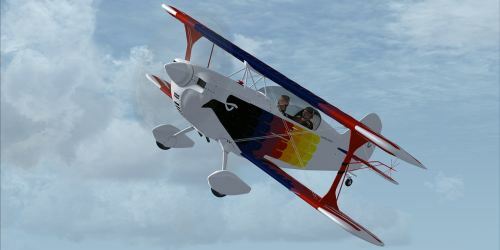 Aerosoft is holding a 20% off on all US-Cities products weekend sale. Expires on Monday, 8th August 2011. David Maldonado has released his freeware Coro Airport (SVCR) for FSX. Download at Flightsim.com or AVSIM. Angelo Tassoglou has released his freeware Larisa-Volos photo scenery for FSX. Download at AVSIM. Warbirdsim has posted another promotional video from the P-51D Mustang 'Little Friends' for FSX. Flying Stations has released the Martin B-57A/RB-57A Canberra Pack for FS2004. Rotating bomb bay door: set to default main exit command. 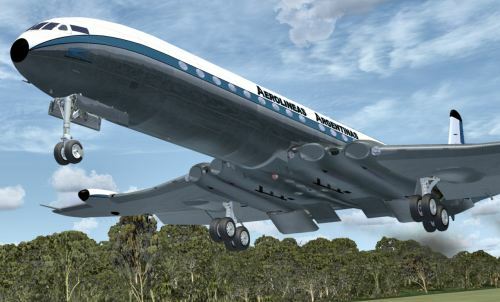 Virtualcol has released the Island of San Andres (SKSP) for FSX and FS2004. Purchase at SimMarket. Center, shopping, banking and detailed hotel. airport of the island of Providencia, which can travel seamlessly from San Andres and complete the course. One boat that allows you to scroll through the Keys JOHNNY KAY an ACUARIUM primarily. Possibility of land tour around the island (only for FSX, FS2004 does not have that option). Guide the location and actual photos so you can compare the realism of the site with the stage in the user manual. 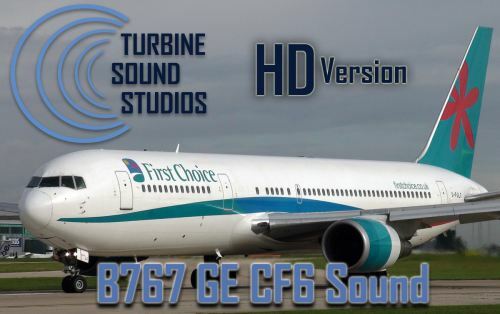 Turbine Sound Studios (TSS) has released the Boeing 767 GE HD Sound Package for FSX. More preview renders from the MD Helicopters MD 600N for FSX can be viewed here. 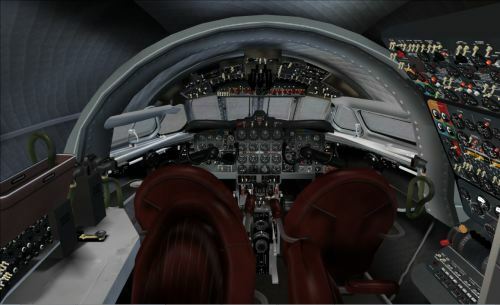 Aerosoft has posted the first virtual cockpit preview pictures from the OV-10 Bronco for FSX. Ant's Airplanes Tecnam P2002 Sierra Version 1.2 for FSX is now available to purchase at SimMarket. - New custom 296 GPS gauge. - Reworked lighting system for gauges and panel. - Hot switchable RPM gauge (displays either engine RPM or prop RPM). - Hot switchable airspeed gauge (displays either Knots or km/h). - New Sierra Setup program to set user preferences. - Adjusted animation range of ailerons and rudder. - Animation Manager controls display of pilot, passenger, joystick, wheel covers, tiedowns, pitot covers. - You can even control whether the pilot or passenger wears sunglasses. FSDreamTeam has updated Hawaii Airports Volume 2 for FSX and FS2004 to version 1.1. IRIS Simulations Christen Eagle Version 1.2 for FSX is now available to purchase at SimMarket. Updated Contact Points for more stable ground handling. Brand new soundpack based on Christen recordings for a more authentic sounding experience. 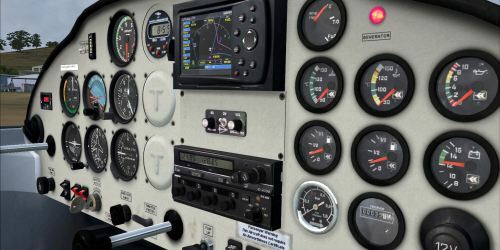 Autopilot added to Virtual Cockpit on Christen Eagle I and II models. New Garmin 1000 fitted Christen Eagle IG model added. The IRIS Simulations Website has been restored under the old domain name at http://www.irissimulations.com. The unofficial FlyTampa Seattle Intl. Airport (KSEA) and Orbx PNW Merge for FSX has been updated. Aerosoft has posted new preview pictures from the upcoming Antarctica X for FSX. Don Grovestine and Ken Peters have updated the freeware Nanaimo-Collishaw Airport 2011 for FSX and FS2004. Free X-Plane NavData AIRAC 2011.08 is now available to download here. X-Plane.org is offering bonus Los Angeles Intl. Airport (KLAX) scenery with the purchase of any aircraft at $40 or more. SkyDemon is now shipping the SkyDemon Mobile MD GPS Unit to all pre-order customers. The makers of TOPCAT have posted a status update and new pictures from PFPX - Professional Flight Planner X.
McPhat Studios has posted more Northwest Airlines previews from the PMDG 747-400 High Definition Textures for FSX. The Greek Airports Project (GAP) has posted previews from the upcoming H.A.S. Peloponnese scenery for FS2004. FlyTampa has released Athens Elefthérios Venizélos International Airport (LGAV) for FSX and FS2004. - Athens Eleftherios Venizelos (LGAV) airport scenery. - 3D Terrain and Taxiway bridges. - Animated apron Vehicles, Trains and highway Traffic. - Custom Specular and Reflection maps (FSX only). - Surrounding Photoscenery with hand placed Autogen. Enigma Simulations has posted a Delta Air Lines livery preview from the upcoming Boeing 737-300 for FSX. Update X3 to the 747-200 Classic Freighter & 747-100 Classic Passenger for X-Plane is now available. Aubrey has posted more interior previews from the MD Helicopters MD-902 Explorer for X-Plane. New pictures from the MD Helicopters MD 600N project for X-Plane have been posted in the X-Plane.org Forums. VertigoStudios has released patch version 1.1 to the Grumman TBF Avenger for FSX. 1, Corrected the attitude indicator Snags when rolling, it snags when going through level flight. 2, Removed the Ball turret animation. 3, Corrected the Altitude Gauge. 4, Corrected the Slip Gauge. 5, Increased the cockpit glass slightly. 7, Corrected the Glass on the fuselage windows. 8, Made the Battery Generator sound less intrusive. 9, Added more bump and spec to the Fuselage and Wings. 10, BONUS Added a new additional FDE, now theres ’2′ FDE files, Advanced Flight Dynamics and Easy Flight Dynamics. 11, Corrected the VC light. Digital Combat Simulation (DCS) is holding a two-week 33% off sale on DCS A-10C Warthog and DCS Black Shark. Premier Aircraft Design has released the freeware Fokker 100 for FSX and FS2004. New preview pictures from Hamilton Aerodrome (YHML) for FSX have been posted in the OZx Forums.